Love is in the air! But what does that mean? 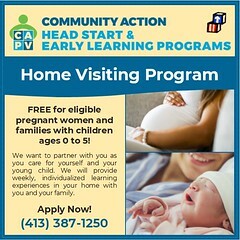 Valentine’s Day is a special opportunity for parents to support local culture and express kindness to each other by shopping at a local business, buying flowers from an artisan florist, take museum trips, volunteer your time for others, or relax amongst fellow adults while the sitter takes over for the evening. But it isn’t just about hearts and chocolates! In addition to exchanging valentines, families can celebrate and explore the cultural traditions that make up Valentine’s Day by attending exciting and engaging community events happening on Saturday, February 14th across Western MA. 21 Community Highlights: Tap Dance to Folklore. Tulips to Trees. Featured learning highlight this week: Just when you think you can’t stand winter for one minute longer, the spring flower shows open up at area colleges offering smells and colors of spring! 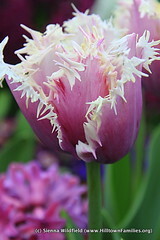 Both the Smith College Botanical Garden and the Mount Holyoke College Botanic Garden will show off their extensive collections of flowering bulbs in their greenhouses starting this Saturday, March 1. Smith College’s annual Spring Bulb Show will take place at the Lyman Conservatory in Northampton, and The Spring Flower Show at Mt. 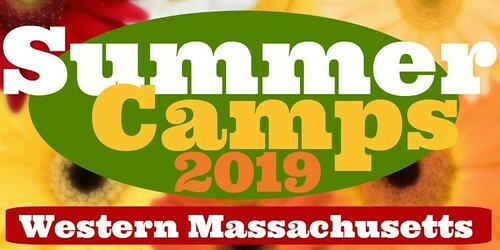 Holyoke will be held in the college’s Talcott Greenhouse in South Hadley. A visit to these free shows can support or inspire a love for flowers and learning about botany and plant habitat. Why is it, children might wonder, that the bulbs are blooming even though nothing else in nature seems to have woken up? What is it about greenhouses that allows plants to bloom when there is still snow on the ground? Ask questions and learn what makes a greenhouse different from outdoors to better understand the different needs that species of plants have. 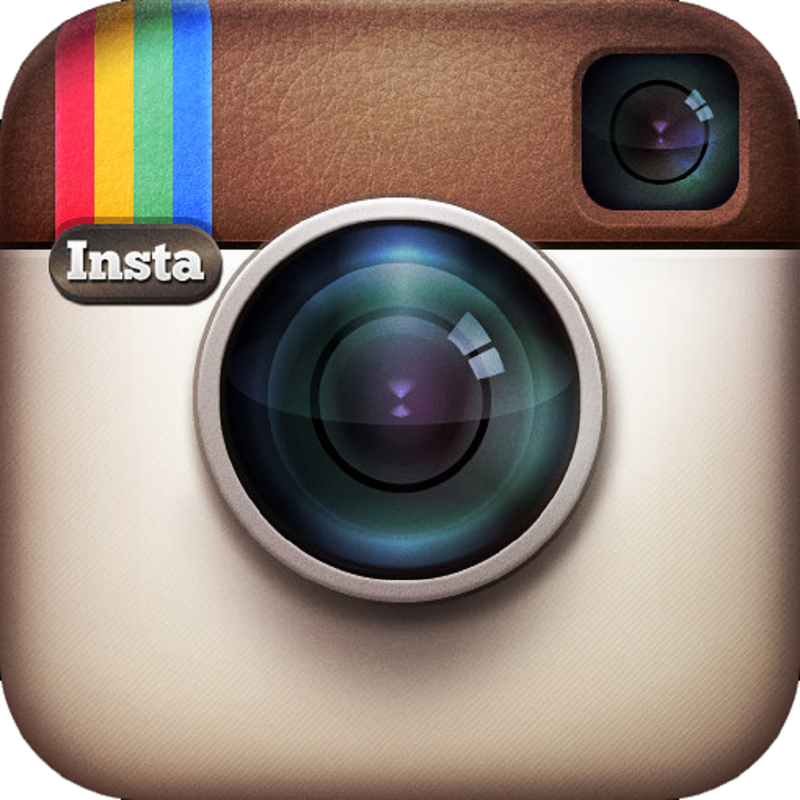 31 Community Highlights: Shaker Inventions to Turkish Coffee. Telescopes to Architecture. Featured learning highlight this week: Students in grades 6 through 12 (ages 11 through 18) are invited to come to Smith Splash in Northampton on the Smith College campus for a day of workshops for middle and high school students taught by college students. Write a parody song, learn about energy and mathematical proofs, create a zine, and learn American Sign Language. 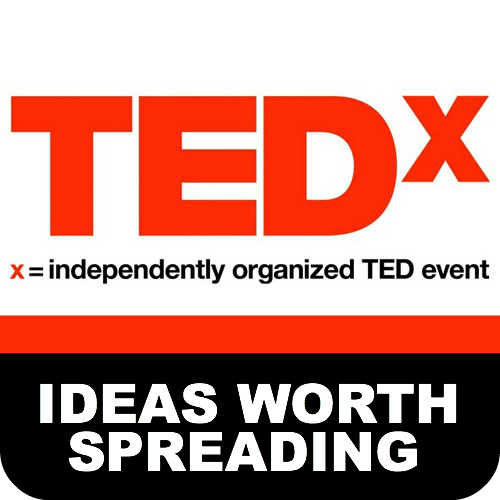 Takes place on Saturday, Mar 1. 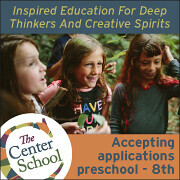 Registration deadline is Wednesday, Feb. 26! 26 Community Highlights: Chain Reactions to Aviation. Candy Land to Medieval Feasts. To help kids understand the concept of interrelatedness, try building your very own chain reactions at home using dominos! Building chains of dominoes is the classic DIY chain reaction. On Monday afternoon, Feb. 17, the 7th Annual Domino Toppling Extravaganza take place! See this classic DIY chain reaction take place on a large scale and marvel at the cascade of a chain reaction. Chain Reactions to Aviation. Saber-Tooth Cat to Arctic Gray Wolf. Candy Land to Medieval Feasts…. Featured learning highlight this week: Did you know that the world’s largest collection of dinosaur tracks is housed at Amherst College in the Beneski Museum of Natural History? The Museum offers opportunities for families and students to learn about the natural history of the Pioneer Valley and many other parts of the world during February Vacation week, Feb 18-21, with free guided tours for families with children ages 5 and up. There are over 1,700 specimens (including skeletons of a mammoth, cave bear, and saber-tooth cat, and skulls of a tyrannosaurus rex and a triceratops! ), some from as far away as Patagonia, housed at the Museum, along with several collections, including anthropology, ichnology, meteorites, mineralogy, osteology, paleobotany and taxidermy. These guided tours will help museum visitors discover all the neat things the museum has to offer while learning about the natural history of the Pioneer Valley. 40 Community Highlights: Valentine’s Day to Black History Month. Creative Free Play to Chemistry. 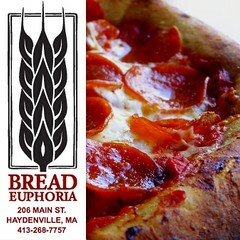 Pioneer Valley Bread House in South Hadley is holding a bread-baking event that’s open to everyone on Tuesday evening, February 11! Come learn how to bake bread from scratch and share, learn, and create with community members. 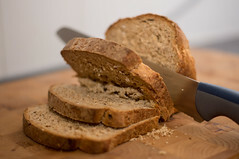 Baking bread is a fun and useful skill and this is a perfect event to help you get started! Takes place at Five College Women’s Studies Research Center. Valentine’s Day to Black History Month. Creative Free Play to Chemistry. Bread Baking to Snowshoeing. Featured learning highlight this week: The UMass Department of Chemistry and the Science, Technology, Engineering, and Mathematics (STEM) Education Institute is holding a family chemistry demonstration night to display the wonders of chemistry and chemical reactions on Thursday, February 13 in Amherst. There will be exciting explosions, colorful reactions, and much more! Come see how cool chemistry is at this family event! Students, parents, and teachers are especially encouraged to attend this free night of science! Hilltown Families’ Friends Share a Little Love! Moon hugs and star kisses! Our friend Charity Kahn from Charity and the JAMband in San Franciso wishes us all a Happy Valentine’s Day in this archived episode of the Hilltown Family Variety Show which aired last year for Valentine’s Day on Valley Free Radio: HFVS Valentine’s Day 2012 Episode with Guest DJ, Charity Kahn. 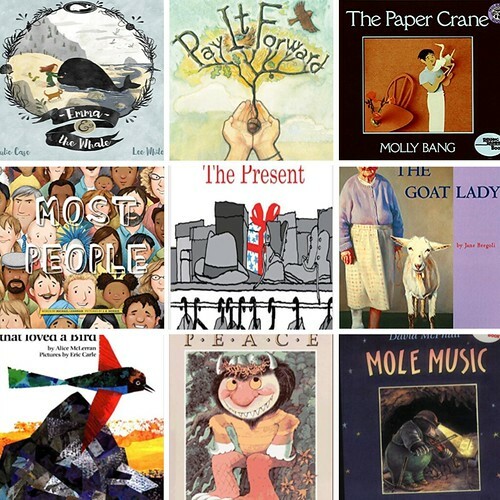 This year Charity gathered artwork from children all over the country, ranging in ages 1.5-9 years old, and put them together in this video to accompany her song, “Valentine,” off of her album, Family Values, Hilltown Families number one pick featured in our post, Top 11 Family Music CD Releases from 2012. Another little love gem from our archives is with our friend Robert (aka Uncle Rock) when he guest DJed the HFVS back in 2007: Valentine Episode with Guest DJ, Uncle Rock. 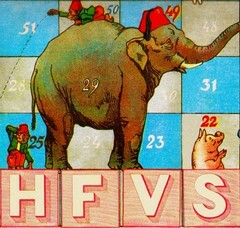 And this past fall, our friend Ben from Ben Rudnick & Friends, put together a show that celebrates love: HFVS Love Episode with Guest DJ, Ben Rudnick. Give a listen and check out music he features off of his CD Love, also featured in our post, Top 11 Family Music CD Releases from 2012. 22 Community Highlights: Victorian Valentines to Mardi Gras. Winterfest to Fire & Ice. Having a snow day? 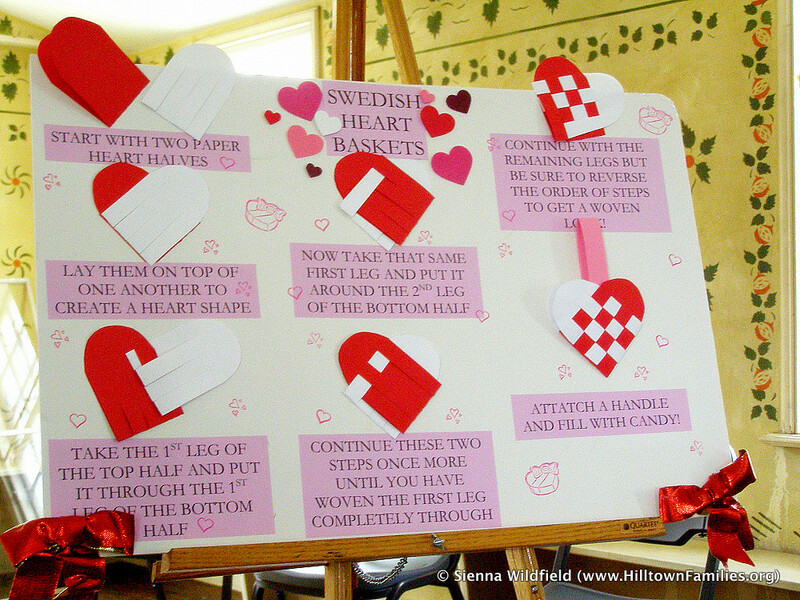 Here’s a fun papercraft to make with your kids for Valentine’s Day : Swedish Heart Baskets. Click on the image for directions. Chocolate History to Guitar History. 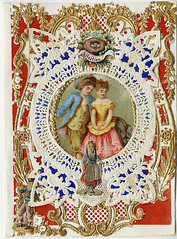 Victorian Valentines to Mardi Gras. Winterfest to Fire & Ice… These are just a few of the learning & community highlights we’re featuring this week. Get out into your community and learn while you play! Chocolate and Valentine’s Day go together like peanut butter and jelly! Learn about the history of chocolate – bean to bar – and Valentine’s Day traditions at Old Sturbridge Village on Sunday, February 10th. 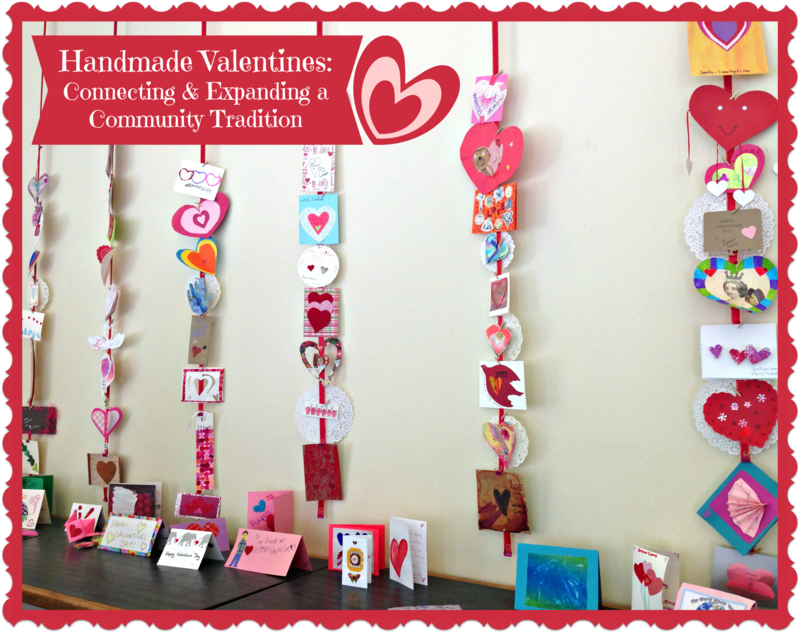 Families can make their own valentines and meet the local women responsible for the tradition of sharing cards on Valentine’s Day. The tradition began with handmade cards, and grew into an entire company! 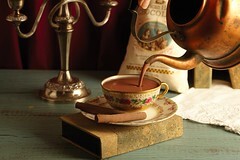 There will also be demonstrations of chocolate processing and the making of a hot, spiced chocolate drink. Families can also learn a 19th century recipe for chocolate cake! There will, of course, be the usual opportunities to learn about life in early New England that Old Sturbridge Village offers. Families can supplement studies of American history and culture by visiting the village, and make their visit fun and holiday-related by learning about Valentine’s Day traditions! Read our featured post, Be Mine: Chocolate and Valentines. The Springfield Museums will host a lecture titled, “Les Paul’s New Sound: Re-Imagining the Electric Guitar in 1950’s America,” featuring Smith College professor Steve Waksman on Sunday afternoon. The talk will teach visitors about the role that Les Paul’s music played in the changing sound of American music during the mid-20th century. Also featured will be Quinnipiac University professor John Thomas, who will share his process of x-raying vintage guitars to examine their craftsmanship. Great for older students interested in music, music history, and cultural studies and ties into the current exhibit, GUITAR: The Instrument That Rocked the World. Hold your pinky high – it’s time for a fancy tea at Ventfort Hall on Thursday afternoon, February 14th in Lenox! In honor of Valentine’s Day, the museum is hosting a special tea-tasting event, where visitors can learn about the history of specific tea blends, as well as the origins of teas and recent changes in the tea market. Special emphasis will be placed on the history of the JP Morgan blend, a special tea commissioned by JP Morgan himself – it was his favorite! Best for older students with some background in world history and basic economics, the event will help students learn about world trade, and the changes in food sourcing and sales throughout American history. BYO teacup! Victorian high tea to follow the tasting. 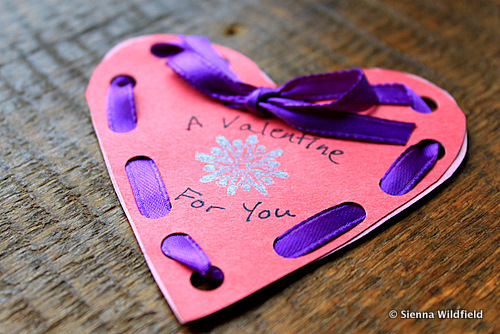 Use antique valentines for inspiration at a valentine-making workshop at the Wistariahurst Museum on Sunday afternoon, February 10th in Holyoke! There will be plenty of materials on hand, along with Victorian poetry and sayings to embellish your artwork with. Read our featured post, Victorian Valentines Workshop & Era Days at Wistariahurst Museum. 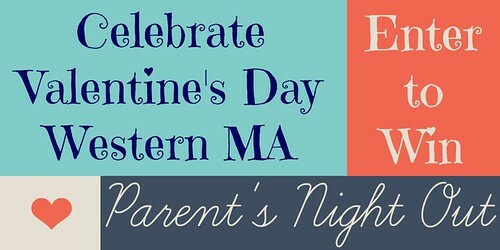 Looking for a date night on Valentine’s Day, Thursday, February 14th? Spend Valentine’s evening at MASS MoCA in North Adams – there will be tours, gift-making, romantic games, and couples yoga. End the evening with dinner at Lickety Split! The Kidspace will offer kids’ programming, and parents can drop off kids for their own special Valentine’s evening, including crafts, dinner, and lots of other fun activities. Another way to celebrate Valentine’s Day is seeing a screening of Casablanca at the Amherst Cinema for a cozy date night on Thursday! Well known as one of the greatest love stories from the golden age of film, the movie stars Humphrey Bogart and Ingrid Bergman as lovers forced to choose between love and virtue in Africa during World War II. Parents and their kids 10 and under can enjoy an evening out at a special parent/child Sweetheart Dance on Friday evening, February 15th in Florence! 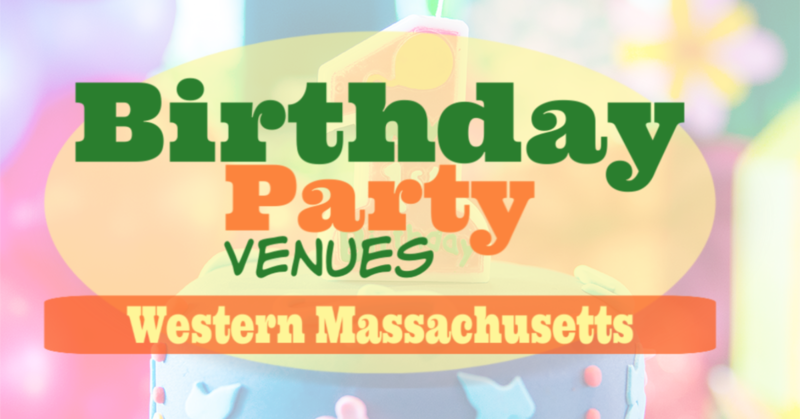 Hosted by Northampton Recreation, the dance will have live (family-friendly) DJ music, crafts, games, and treats. Pooches of all shapes and sizes strut their stuff on Sunday, February 10th at Berkshire Community College in the 12th annual Not Your Average Dog Show in Pittsfield! There are lots of non-traditional categories for pups to compete in, including mystery mutt, best trick, most beautiful eyes, “earresistable” ears, and more. Dog lovers of all ages will love spectating at this event. 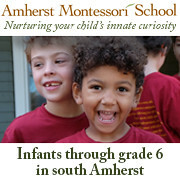 Preschoolers can become track-finding nature detectives this morning at the Hitchcock Center in Amherst on Friday morning, February 15th! The Winter Wonderland Detectives program will teach young children to look for tracks in winter, and will include a track-themed storytime and a track-finder guide making activity. Easthampton’s 5th annual Fire and Ice Art Walk takes place on Saturday evening, February 9th, FEBRUARY 16TH! The event features, of course, beautiful and interesting artwork by local artists and locations throughout town, and will also offer exciting wintery activities for families. There will be a bonfire at Nashawannuck Pond (but ice harvest has been cancelled), luminaries, live music, poetry readings from 6:30-7:30 at participating Art Walk locations, and a collaborative community art project titled, “For the Love of Easthampton, Valentines for the City,” will be taking place at city hall for families to participate in! Read our feature post, Warm Up this Winter with Easthampton Fire & Ice Art Walk! Take a horse-drawn sleigh ride, race down a hill in a cardboard box, play some frisbee (winter style! ), watch fireworks, taste chilis entered in the chili cook-off, a marvel at ice sculptures, and practice your cross-country ski skills on Sunday, February 10th at Winterfest Amherst (rescheduled from Saturday, Feb. 9th)! The annual event takes place at the Cherry Hill Golf Course, and features tons of exciting winter-themed family activities. 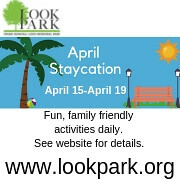 Beat cabin fever and spend the day outdoors! Snowshoe with the Trustees of Reservations at Peaked Mountain in Monson on Sunday afternoon, February 10th! Snowshoes available for rent with registration. Explore Chapel Brook in Ashfield with the Trustees of Reservations on Thursday morning, February 14th and learn to identify moss and lichen species! The 1-2 hour hike will include lots of stops for observation and identification practice, so bring any interesting field guides or other resources if you’d like! Celebrate Mardi Gras and Carnival together at Mardival on Sunday afternoon in Nothampton! The Academy of Music hosts this special performance, featuring the Expandable Brass Band, Samba SA, and the Jaimoe Jasssz Band with special guests Samirah Evans and Duke Robillard. The event will share New Orleans-style jazz and Brazilian music to celebrate the annual celebration of Carnival in New Orleans and Rio de Janero. Historians at Old Sturbridge Village will celebrate the history of Valentines in America and demonstrate old-fashioned chocolate-making with “Be Mine: Chocolate and Valentines,” a weekend program set for Saturday and Sunday Feb. 9-10, 2013. – UPDATE: Due to the impending storm, the Village will be closed, Friday, February 8 and Saturday, February 9. The tradition of having chocolate on Valentine’s Day is a longstanding one – it has been around since the early days of New England, even! Today’s Valentine’s traditions tend not to involve a lot of homemade chocolate or laborious preparations, however – usually we buy our chocolates at the grocery store or, in the most thoughtful of cases, from a local candy shop. However, early Americans spent a lot of time preparing their delicious chocolate foods – a tradition that families can learn about this weekend at Old Sturbridge Village! The village’s annual Be Mine: Chocolate and Valentines offers families a chance to learn about the history of chocolate – how it was prepared, where it came from, and how it was eaten. Cacao beans were processed and ground by early New Englanders in order to create things like a spicy hot chocolate-style drink or a chocolate cake – with a surprising secret ingredient! 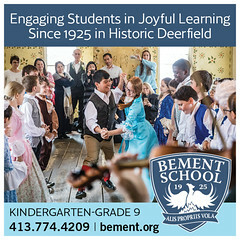 There will be both displays and demonstrations from which families can learn about 19th century chocolate-making techniques. Do you know where the first Americans were supplied their chocolate from? Before visiting, watch a video on the history of chocolate to learn some useful background information on the process of acquiring and preparing cocoa beans! Along with chocolate, Valentine’s Day brings the sharing of valentine cards! Since the roots of this tradition are local, the village will have special educational programs and hands-on activities on this topic, too! 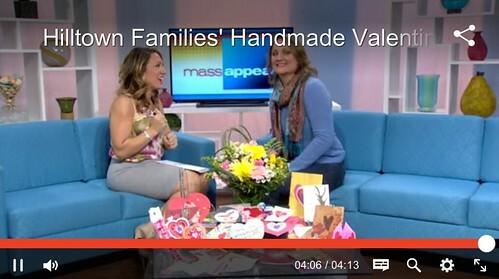 Families can learn about the Worcester resident whose humble handmade card business blossomed into a large card-making company and, eventually, the huge tradition of Valentine’s Day cards that we have today. 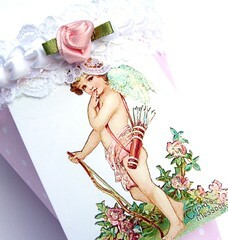 Then, make your own valentines to share – inspired by images of antique cards shared by villages in the 1800’s. Spanish conquistadors brought chocolate from Central America back to Spain in the 16th century. From there, it traveled through Europe, to England, and back to America. Early versions of “chocolate cake” do not actually contain any chocolate. The name means that the cake was intended to be enjoyed with a cup of chocolate, just as “coffee cake” today is meant to be served with coffee. Boston pharmacists advertised chocolate as a medicinal remedy as early as 1712, and by the late 1700s, there were hundreds of chocolate vendors in the city. Chocolate was drunk as a medicine during the Lewis and Clark Expedition, and by California Gold Rush miners, but later in the 19th century, with the addition of milk and more sugar, chocolate was preferred more as a confection than as a health tonic. New manufacturing processes developed during the Industrial Revolution transformed chocolate from an expensive drink into an inexpensive food. By the late 1800s, chocolate was widely advertised to women and children through colorful posters and trade cards, and its iconic status as the world’s preferred candy was secured. The best known legend about St. Valentine has that he was a Roman martyr killed for his faith on February 14, 269 A.D. He may have been a priest who married couples in spite of the Emperor’s ban. Valentine’s Day, like Christmas and many other Christian holidays, was originally an attempt to Christianize popular pagan festivals. In pagan Rome, February 14 was dedicated to the goddess Juno (Hera in Greek mythology), wife of Jupiter (Zeus) and patroness of women and marriage. Few New Englanders marked Valentine’s Day before its rise in the increasingly sentimental and economically prosperous 1840s. As with other holidays, those who made money from Valentine’s Day encouraged its observance. In the 1840s when printing technology improved, sending handwritten notes and printed cards became even more popular. Enterprising shopkeepers encouraged the exchange of gloves, books, candy, and other gifts among a growing middle class. 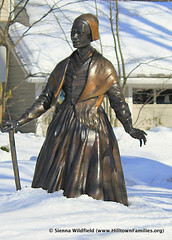 Esther Howland, of Worcester, Mass. 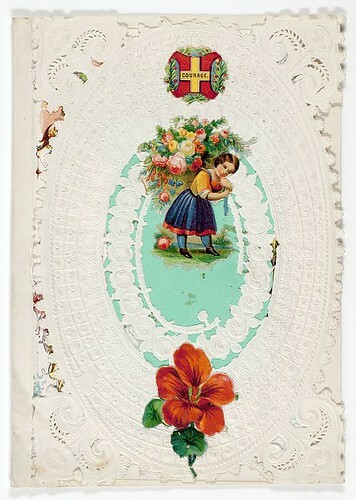 began designing fancy Valentine cards in 1848, and hired girls to help cut and paste together these small works of art. By 1850 she was advertising her cards in the newspaper, and by 1860 she was selling between $50,000 and $100,000 worth of Valentines annually. 26 Community Highlights: Glass Blowing to Handmade Valentines. Ice Harvest to Hobby Railroad. Spelling Bee to Cosmology. Glass Blowing to Handmade Valentines. Ice Harvest to Hobby Railroad. 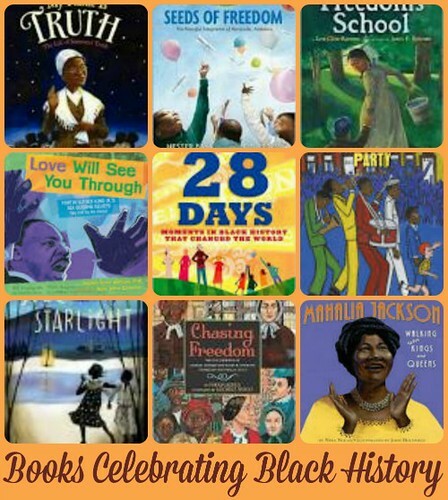 African-American History Month to Groundhogs Day… These are just a few of the learning highlights we’re featuring this week. Get out into your community and learn while you play! And be sure to check our list of supporting book titles to supplement the learning on the different topics highlighted each week. 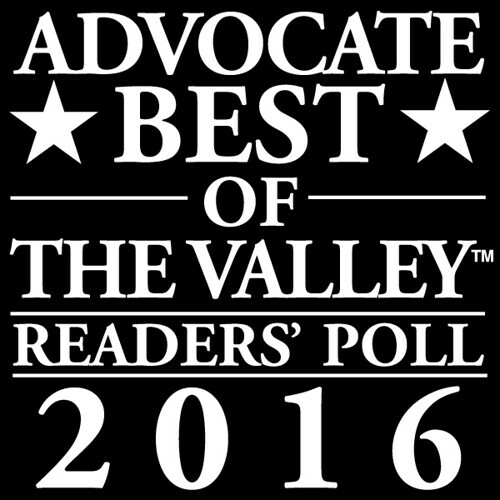 Purchase them for your family library, or check them out from the public library! Learn about raptors at the Greenfield Center School on Sunday afternoon, February 3rd at their annual free Birds of Prey Open House with Tom Ricardi, Raptor Rehabilitator. Bird-related activities and projects, like owl pellet dissecting, will be lead by Center School teachers. In the morning on Wednesday, February 7th in Williamsburg, start out your day with some fresh air with a free guided hike at Petticoat Hill with the Trustees of Reservations. The theme of the hike is edible plant identification, and the hike will stop a few times along the way for observations. Bring a field guide and a camera if you want. 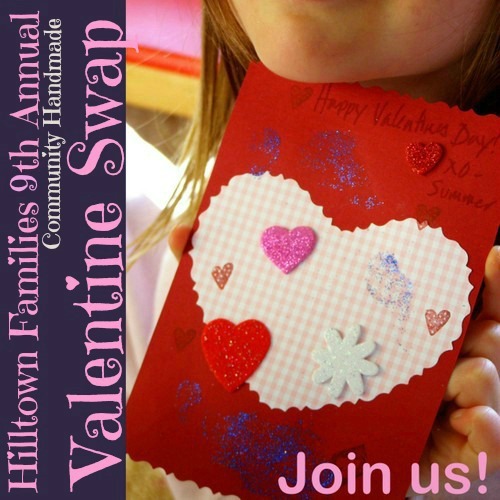 Did you sign up for the Hilltown Families 5th annual Handmade Valentine Swap? Whether you did or not, making handmade valentines is a great way to push against the commercialization of yet another holiday, while being creative with your family and friends. There are a few opportunities to get out in your community to make valentines with others this weekend! On Saturday morning, February 2nd, sign up to take part in the Eric Carle Museum’s Valentine-making party, which will take place in the museum’s art studio in Amherst or make your own valentines at the Mason Library in Great Barrington. In the afternoon on Saturday, families can also make their own handmade valentines at Art Party in Easthampton. If you can’t make any of those, on Sunday evening, February 3rd, kids ages 8-14 can learn basic drawing and print-making techniques with local artists at the Shutesburny Town Hall to use to create unique and beautiful handmade valentines. There are also a few upcoming events happening at area museum that support the study of American history for older students. On Saturday morning, February 2nd the Berkshire Museum in Pittsfield presents, “Envisioning Emancipation: Black Americans and the End of Slavery,” the first in a two-part lecture series featuring author Barbara Krauthamer. The presentation will use historic images (including the Massachusetts 54th Regiment, Sojourner Truth, abolitionist conventions, and more) to examine what the freedom granted by the Emancipation Proclamation really looked like in the years just after its implementation. Older students can pair the event with studies of American history and civil rights – gaining a critical understanding of the implications of the historic proclamation can help students better understand the roots of race-related conflicts and inequalities. The second lecture will take place at the same time on Saturday, February 9th. Learn about the history of slavery in the Connecticut River Valley on Thursday at noon, February 7th at the Springfield Museums’ Museums a la Carte lecture, featuring Amherst College Professor Robert Romer. During the 1700’s, it was commonplace for important, prominent people to own slaves – even ministers. Older students can learn how the practice of slave-holding affected the history of their community. Learn about the powerful images that Norman Rockwell created during the Civil Rights Movement of the 1960s on Friday afternoon, February 8th in Stockbridge. Norman Rockwell Museum’s Curator of Education Tom Daly will share the stories behind the creation of such paintings as “The Problem We All Live With,” “Murder in Mississippi,” and “New Kids in the Neighborhood,” and Rockwell’s dedication to civil rights throughout his career. The annual Amherst Railroad Society Railroad Hobby Show takes place this weekend (Feb. 2nd & 3rd) at the Big E in West Springfield, and contains everything related to rail travel, from real life railroad pieces to scale models and extensive hobby train set-ups. There will be displays from railroad historical societies, hobby builders, suppliers, and more – the event has something for everyone, whether you’re new to studying railroads and model trains of a seasoned enthusiast! Families can learn about the history of rail travel, and the numerous types of trains and their uses. Kids can also learn about the history of railroad use in the area, and will learn about how their community has changed over the years. Attend an old-fashioned ice harvest at the Old Shop Pond at the Noble and Cooley Center for Historic Preservation in Granville on Saturday afternoon, February 2nd. Dennis Picard, director of Storrowton Village, will teach visitors about the historic practice of cutting ice from the pond to store for the year. The museum will show a short video about the history of ice harvesting in New England on loop, so that visitors throughout the day can learn even more about winter life in early New England. Local author Sarah Kilborne will read from American Phoenix: The Remarkable Story of William Skinner, the Man Who Turned Disaster into Destiny. on Sunday afternoon, February 3rd. The book tells the story of Skinner’s life, and offers much information about the history of local silk production, and Haydenville’s recovery from the 1874 flood. 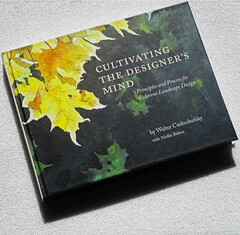 Takes place at the Meekins Library in Williamsburg. Families can do hands-on activities to learn about early New England life at Old Sturbridge Village! The village’s winter homeschool day takes place on on Friday, February 8th and will feature a variety of special workshops for all ages, in addition to the daily opportunities to explore the village, meet historical re-enactors, and learn all about 1830’s culture and practices. Some of the workshops offered today include learning to make a kitchen grater using tin-working techniques, open hearth cooking, and studying the language of fans and dance etiquette. Celebrate the opening of glass artist Noah Rockland’s new glassblowing studio on Sunday, February 3rd in Montague. Families can learn about the art of glassblowing and watch demonstrations. Smith College’s John M. Greene Hall will be filled with the sounds of a capella on Sunday afternoon, February 3rd in Northampton. The Northampton Arts Council’s annual Silver Chord Bowl will feature groups from Smith College, Northeastern, the University of Connecticut, Yale, Tufts, NYU, Berklee College of Music, and the Northamptones. Families will love the unique sound that each group has, and can learn to better understand a capella music by listening to a sampling of well-performed pieces. The Mt. Holyoke College Music Department presents flutist Andrea Kapell Loewy, principal in the Acadania Symphony, in concert on Wednesday afternoon, February 6th in Hadley. Students with audience skills can learn about the unique sound of this beautiful wind instrument at this free performance. Older students can learn about the science behind the human sense of smell at the OEB Science Cafe on Monday evening, February 4th in Hadley. This free event will take place at Esselon Cafe, and will be lead by UMass graduate student Tom Eiting will explain his work researching how nasal passages work and how smell is perceived in the brain. Where did the universe come from? Learn about its origins on Tuesday evening, February 5th with cosmologist Lawrence Krauss at Williams College in Williamstown. Best for older students, the talk will cover recent developments in the field of particle physics, as well as ideas behind why there is something in the universe instead of nothing at this free talk. The second annual Westfield city-wide spelling bee, Words With Friends, takes place on Thursday evening, February 7th. Students from all of the city’s fifth grade classrooms have participated in preliminary bees, and this final event will include two top spellers from each school! Takes place at Westfield State University. 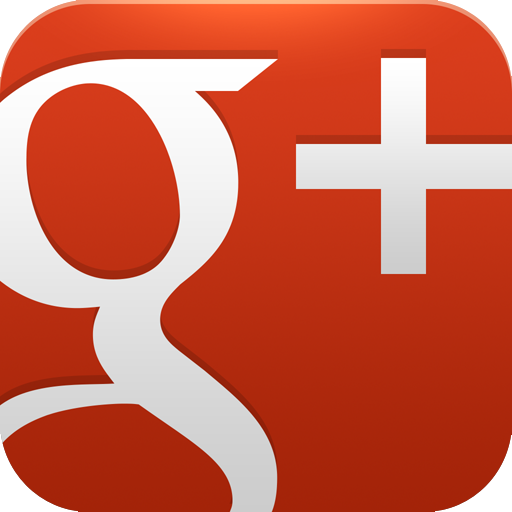 Saturday night, February 2nd: Enjoy an evening of classic jazz at the Gateways Inn Restaurant in Lenox. 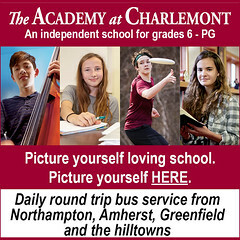 The event is a fundraiser for the Great Barrington Rudolf Steiner School’s high school, and will feature local musicians. Thursday, afternoon February 7th: Enjoy an indulgent night of wine and chocolate at the Springfield Museums! 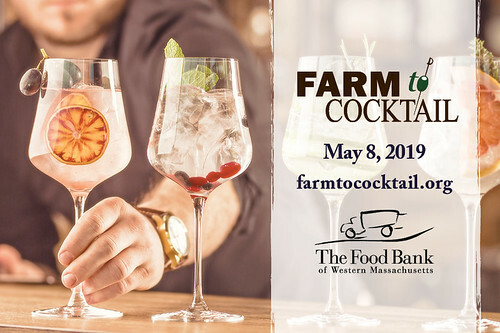 There will be wines to taste, chocolates to try, and delicious chocolate hors d’ouevres, as well as guest speaker Donald Williams, a professional wine buyer. Friday, evening February 8th: New Orleans’ own legends the Preservation Hall Jazz Band are playing The Clark in Williamstown! Playing both Dixieland and traditional jazz, the group represents the historic Preservation Hall’s decades-long musical tradition.